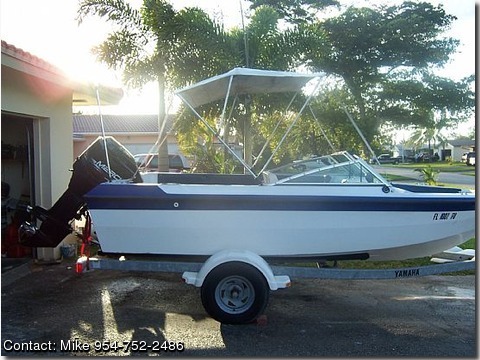 Brand: ChrisCraft Year: 1984 Boat Length: 17' Hull: FiberGlass Prop: OutBoard 1997 Mercury 150 Offshore Outboard engine: Rebuilt in 2004, Runs but needs tune up and one Hydrolic lift looked at. 2003 MidWest Trailer Single Axle: Very good condition Boat and Trailer need registered and tags. New carpet, battery new, built in 19 gallon gas tank, hook up for external gas tank. Mercury 150 Re-built 2 years ago, low engine hours.